The night before last, I dreamt that I went on tour with Ed Sheeran. It was extremely vivid. I had to give him a cuddle each time he came off stage. His request, not mine. He wore a crisp white shirt and smelled nice but the whole thing got quite tiresome. I'm not sure if I had a dream last night. If I did, I can't remember it. There's been far too much talk of the 'A' word around these parts for my liking. Yes, I know we're now in September but in my book it's still summer here in the UK. Late summer but summer all the same and my flips flops are going nowhere. My toes are still sporting a nice tan from our recent week in Spain and my nails are candy pink with silver glitter. Far too pretty to hide. As I write the sky is peppered with big fluffy clouds but there is a fair bit of blue to be seen and the sun is still kicking out plenty of warmth. That said, I suppose there's no harm in planning ahead and I've decided to make a scarf. I have a few hooky projects on the go at the moment which I'll show you a little further down the line but this one I thought I'd share as I go along. It's to be a Happy Scrappy Scarf. An unhurried, easy peasy, extra long, stash-busting scarf of many colours. I spent a delicious half hour plucking colours from my hoard of Debbie Bliss Baby Cashmerino and I've set them out here to show you what I've got so far. The only one I've not included is a gorgeous deep raspberry pink (007) which I have just the smallest amount of. It was irritatingly discontinued some time ago but I've just managed to find someone on eBay selling a couple of balls. That will make 13 colours in total which I haven't decided if I am happy about. Perhaps I'll include another blue or grey to make 14! Now, I'm going to document every detail of my Happy Scrappy Scarf on here as I make it and theme my blog posts accordingly for this month. You see, I think it would be a perfect beginners project. 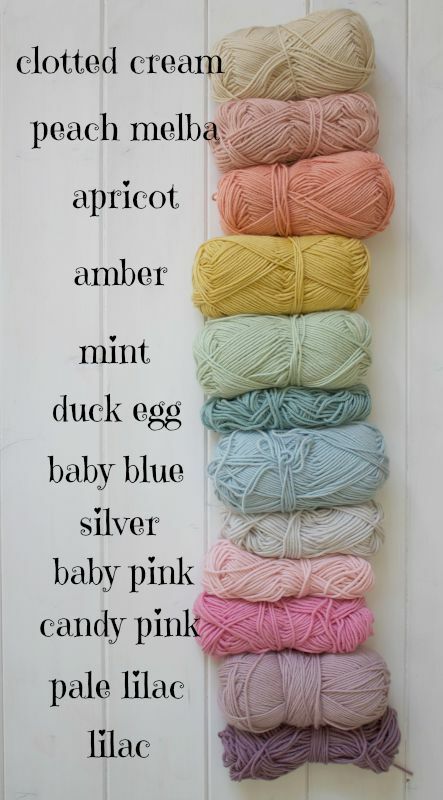 I will be using predominantly double crochet (which is single crochet in US terms) and hope to include all sorts of my own thoughts and tips relating to selecting yarn and colours, tension, changing colours, dealing with yarn ends, keeping nice straight edges, etc., etc. There will be a few extra how-tos too. 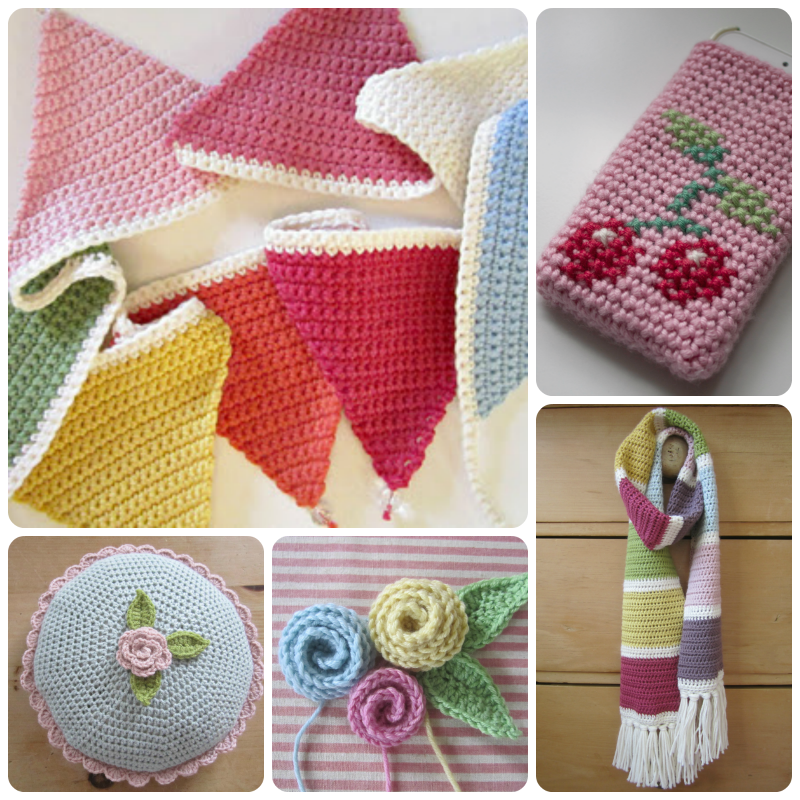 I also want to encourage you to contact me with any crochet-related questions you might have. You can do that by leaving a comment here on my blog or via my Facebook page or Instagram feed. 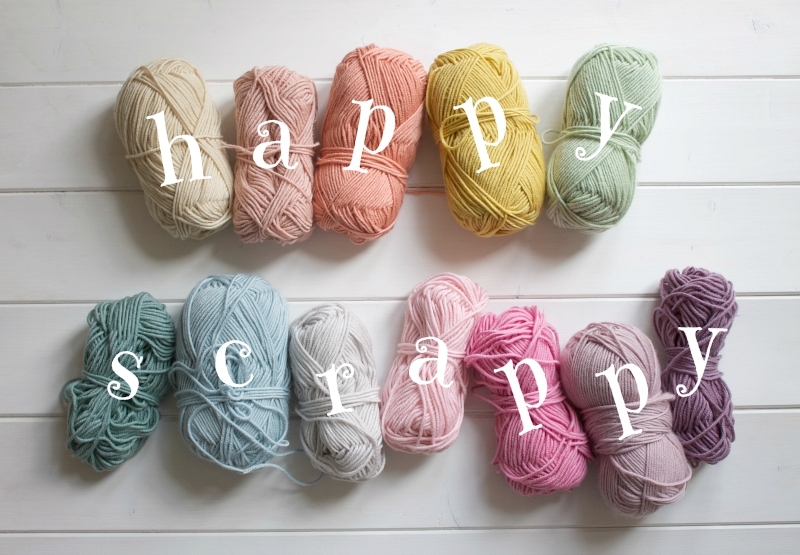 If you'd like to make your own Happy Scrappy Scarf too that would be fantastic! Ooh, like a sort of CAL (crochet-a-long). I do hope you'll join me. At the very least, I love the thought that my Happy Scrappy posts might serve as a useful resource for someone in the future. Ooo, that's a yummy selection of colours. 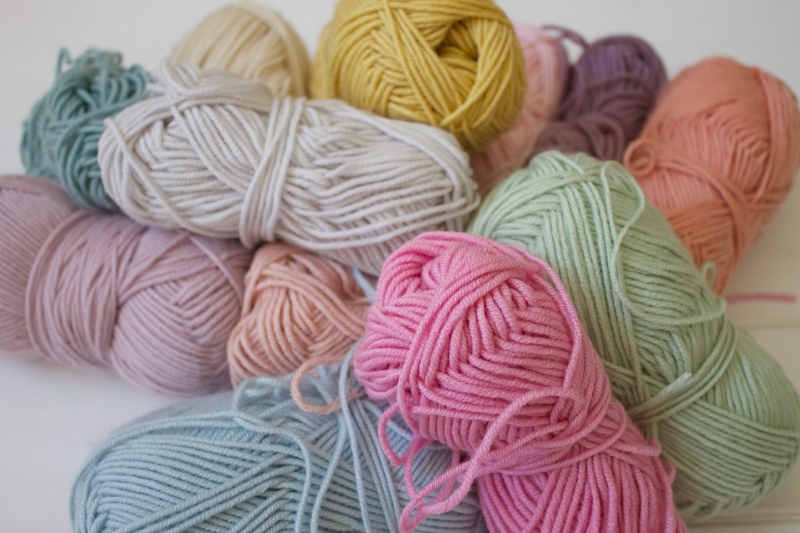 I haven't got that many scraps as I'm just learning crochet but I'm looking forward to seeing what you make. Sounds like a lot of fun! The scarf that is, I am not a big fan of Ed Sheeran so your dream would be my nightmare! Nice colours. As it is cold today I am contemplating a scarf, although it will have to be hidden from husband who will exclaim 'not another scarf' Doesn't he know scarves are like shoes, you can never have too many? Odd but funny dream.... I'm back on the school run so am sleeping like a log as the mornings have moved forward by at least an hour!